The award-winning Stripe Chair is destined to bring a hint of drama to any space. The award-winning Stripe Chair is destined to bring a hint of drama to any space, wherever you put it. Glasgow designer Joachim likes to use solid wood construction techniques borrowed from traditional chair-making and boatbuilding methods in his work. 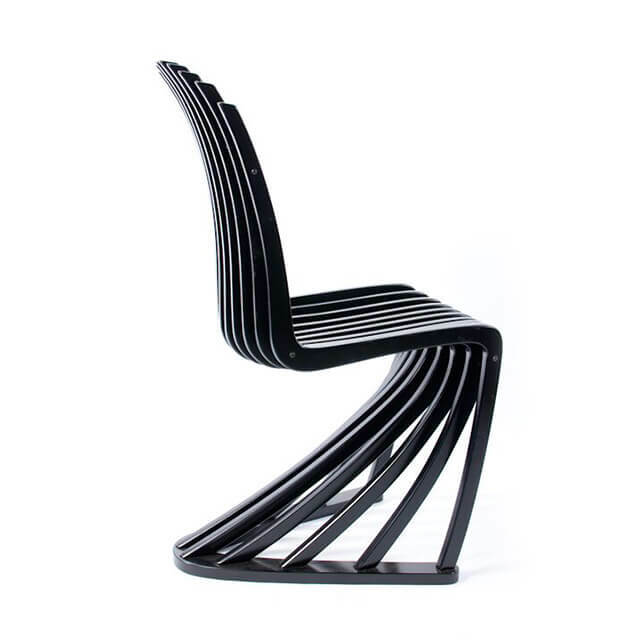 He combines these influences with his expertise in CAD and CNC machining technology, which he used to transform the original design of this cantilevered chair into a rigid 3D structure. An ergonomically shaped seat and backrest guarantee a comfortable sitter. The chair is machined from high-grade birch plywood then carefully hand-assembled before being spray finished in any colour. 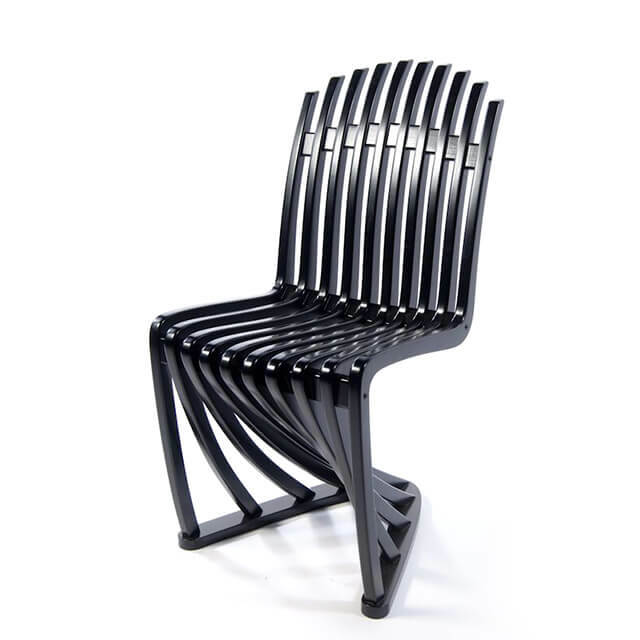 The Stripe Chair design won Joachim the Russell Trust prize for an emerging artist in 2010.